It’s hard to define Sister Hazel’s musical genre. The band’s sound is part country and folk, alternative, classic and southern rock ‘n’ roll. Its songs blend optimistic messages among melodic harmonies that have been sticking in their fans’ heads since Bill Clinton was in the White House. The band’s five original members, who played their first notes together in Gainesville, Fla., in the mid-1990s, have grown up together, yet have never strayed from their goal of spending more time on stage than in a studio. And one of those shows will be on September 2 at Rams Head On Stage in Annapolis, where Sister Hazel, which features Ken Block (lead vocals, acoustic guitar), Jeff Beres (bass, vocals), Andrew Copeland (rhythm guitar, vocals) Ryan Newell (guitar, vocals) and Trojanowski, will play an all ages matinee at 1 p.m followed by an adult-only performance at 7 p.m. Tickets to Sister Hazel, which is best known for the 1995 hit “All For You” are $39.50 and can be purchased here. While Sister Hazel’s work dates to its self-titled debut album in 1994, it’s best known for its second album, 1997’s “…Somewhere More Familiar,” which has sold more than a million copies. The album included the band’s biggest hit to date, “All For You,” which reached No. 11 on the Billboard Hot 100. The song also was included in the group’s first album. 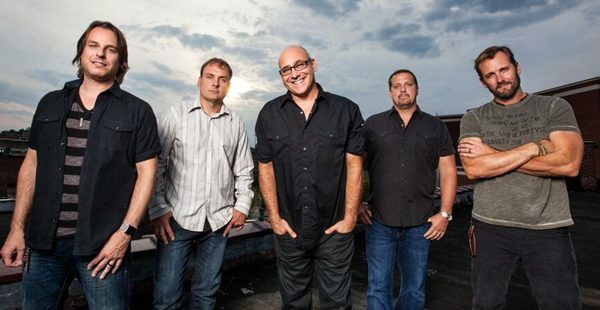 Sister Hazel has no shortage of songs from which to choose, as it has released 13 albums, including 2016’s “Lighter in the Dark.” The album, which is the band’s first in five years, debuted at No. 4 on Billboard’s Top Country Albums chart, No. 6 on the Billboard’s Independent Albums chart and No. 30 on Billboard’s Top Current Albums chart. Sister Hazel is named an honor of Sister Hazel Williams — a missionary who ran a homeless shelter in Gainesville, Fla., and whose work continues to inspire the band’s uplifting songs. Trojanowski said the songs the band plays depends on the audience.